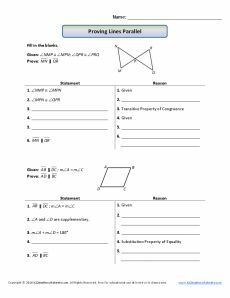 In this worksheet, students complete two geometry proofs. In each proof, students must prove that two lines cut by a transversal are parallel. This worksheet is designed for high school students.